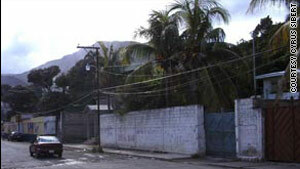 Project Pierre Toussaint operated on this street in Cap-Haitien, Haiti. (CNN) -- An American accused of sexually abusing boys he was supposed to help in Haiti now faces additional charges, federal court records show. Douglas Perlitz, 39, was arrested in September after a federal grand jury indicted him on 10 counts related to the abuse of nine boys over a period of 10 years. Last week, a superseding indictment brought an additional nine counts against Perlitz, and alleges he abused a total of 18 boys. Perlitz founded and operated a home and school for needy children in Haiti, known as Project Pierre Toussaint, which has since closed. He is accused of enticing the boys with promises of food and shelter and with gifts such as cell phones and cash, in exchange for sexual acts. According to the new indictment in federal district court in Connecticut, Perlitz provided money and told one of the boys that he would not be kicked out of the school even if he failed his classes. He allegedly offered another boy and his family money and other benefits, and in another case, gave a television, shoes, clothes and meals to another boy, all in exchange for sexual acts and their silence. Those who did not cooperate with Perlitz were denied benefits, the indictment states. Perlitz was arrested in September at his home in Colorado, but he had lived for years in Haiti, according to the U.S. Department of Justice. The Haiti Fund Inc., the nonprofit fundraising arm of his project, was incorporated in Connecticut, where Perlitz had attended Fairfield University. If convicted, Perlitz would face a maximum of 30 years in prison and fine of $2.5 million, according to the Justice Department.